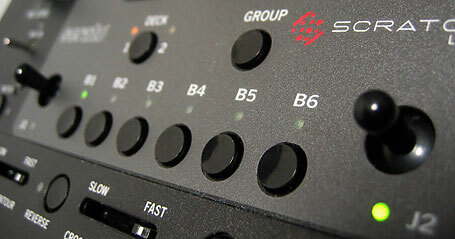 OUTED - New Pioneer DJM-T1 Traktor product for Musikmesse? There's one thing they don't teach you at school and that's how to stuff a cat back into a bag. Having owned cats, I know first hand how damned near impossible that might be. So I can only imagine what is going on between Native Instruments and Pioneer right now as one of Pioneer's cats has escaped and ain't going back in. 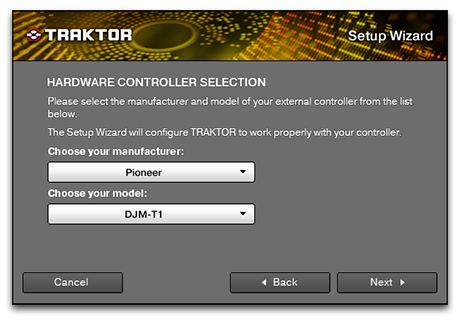 Eagle eyed early adopting Traktor Pro 2 users will have spied something unusual in the controller setup. There's only so many teasers that a tech hungry DJ world can take. Once the cat was out of the bag, the wait for Native Instruments' Traktor Pro 2 has been going on longer than many can bear. But in some stroke of logistical magic (probably Messe looming and wanting to get in first before the usual techstorm), NI have got TP2 out to the masses today. It's available in stores now, for download and in demo form too. Beyerdynamic is a name not heard too often in DJ circles. They specialise in headphones and microphones, but haven't really made any kind of impact in our side of the pro audio industry. Until now that is. The recently announced DT 1350 DJ headphones tip their hat towards the industry leading Sennheiser HD25s, but put their own high end aspirational spin on the DJ headphone blue print. 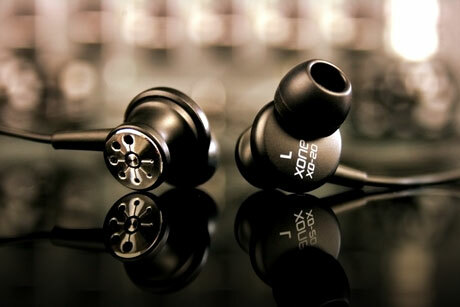 But it's not just empty marketing speak - these are astounding headphones. I spent 3 weeks with them and wrote some words of high praise, with just a smattering of criticism too. If I'm honest, Maschine is the one thing that I yearn to learn. But I know for a fact that if one spent any time in the office, skratchworx would cease to exist and my home would be repossessed. But I'd be making some damned fine music and that's all that matters. So having played with one for an evening, I duly despatched it to Chris Cartledge who is now the resident Maschine expert. And I know he'll be very happy to share his opinions of the new v1.6 release in due course. In the meantime, you'll just have to pour over the plentiful update materials pumped out by the NI PR engine. 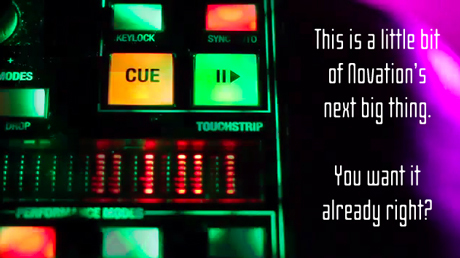 For the last few days, Novation have been teasing on Twitter (tweesing?) about something new. Indeed, Novation called up to book some time with me at Musikmesse, but wouldn't be drawn on anything. But this afternoon, this video was put out, and despite being a Friday afternoon, I set about forensically pulling the video apart, as did the equally curious people over at DJ Tech Tools. This evening, a gathering of like minded people on Skype arrived at a very similar picture - but with no real clear idea as to exactly what we were looking at. Life is full of coincidences. Yesterday, I was finishing a headphone review where I described my really totally normal ears that are blessed with a lack of the antitragus to keep basic earphones in place. And bugger me if Allen & Heath decided that now would be a good time to bring out their Xone XD-20 bud types that'll just push right into my ears without the need for that pointless fleshy bit. Having thought about it, I feel fairly bad for all you freaks who have that deformity. I'm sure there's a support group for all you ear mutants. Not me though - hell no. My ears are just fine. You'll recall a short time ago that Native Instruments pushed out what can only be described as a shameless "we got Qbert" promotional video, where Q, Shiftee and Rafik all piled round to Q's gaff for breakfast and a scratch session. Well it was a little more than just that, as Traktor Scratch Pro 2 as well as the Kontrol X1 and Maschine were integral to this session. And in the above video, Shiftee breaks it all down for you as only Shiftee can. Having spent many years wondering through the foggy audio wasteland of home hifi loudspeakers, you can imagine just how Dolbyfied my life became when I finally got a pair of proper studio monitors. And I suspect that many of you reading this will still be linking your expensive DJ setup to some crappy 80s MIDI system, but blaming the resulting muffled mess on your mixer right? Go on… treat yourself to a pair of real monitors, like these S-DJ05s from Pioneer. Your ears will thanks you for it. Once again, Andrew Unsworth steps into the breach and offers his opinions. Love them or loathe them (I frequently do at the same time), laptops have become as important as any other part of your DJ setup these days. But for 99.99% recurring of people, laptops are an off-the-shelf purchase with very little leeway for customisation. 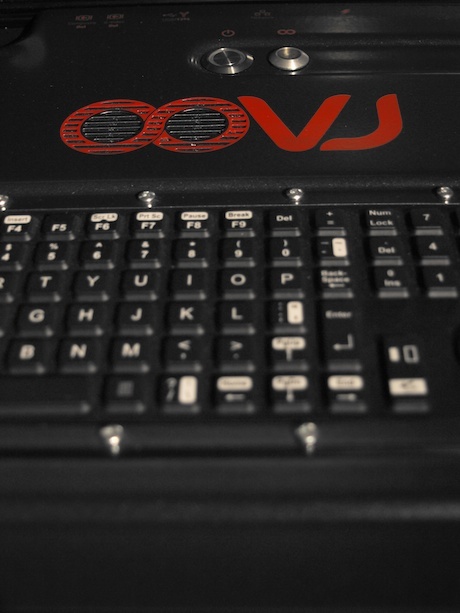 But enter OOVJ - the ultimate in computer in a box DJ specific functionality. Andrew Unsworth positively giggled like a schoolgirl when Valeway said yes to a demo unit. What follows is another Unsworth epic review. For the best part of 2010, the industry hot gossip was that Pioneer had got into bed with Serato to make a MIDI controller. A wise move of course given Pioneer's lack of experience with such things. But then the rumour mill cranked up a notch and spewed out that it was not one, but two controllers - one for ITCH and another for Traktor. Huh? Why make 2? An ITCH controller can be mapped for one or the other right? But as the rumours turned into press releases, it became clear that there were key differences between the units, the main one being that the ITCH driven DDJ-S1 is 2 channels, and the Traktor controlling DDJ-T1 is 4. Resident Pioneer critic Andrew Unsworth got to grips with the latter and typed in all the words in the world for his epic 7500 word review. I should serialise it really. Being a Mac user, I frequent many an Apple friendly website and read much traditional printed Mac media. And it seems that no matter where I go, those pesky algoriddim guys have got there first and have djay propaganda in every corner of the Appleverse. 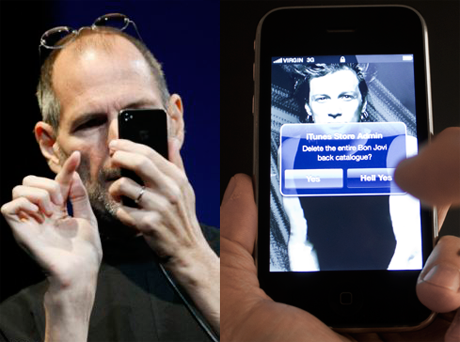 Steve Jobs himself even had djay for iPad not only in his last keynote, but also in the last iPad promo. So you can imagine my pride at playing a small part in the success as maker of the promo videos, which seem to be getting much praise - even from Apple themselves. And here's the latest - djay for iPhone and iPod Touch. So you don't want this iTunes royalty cheque then Jon? Yesterday, Jon Bon Jovi decided to switch off his brain, open his perfectly formed mouth and ram both feet into it, in what can be only be described as an ill-thought wildly off target rant at Steve Jobs, where he singled the Apple overlord for being "personally responsible for killing the music business.". Whilst being half right in his opinion, thankfully, It's only the part about kids missing out on the joy of vinyl and that I wrote about almost 3 years ago, and gives me a natural if rather obvious route for some topical editorial. DMC: Rane mixers as standard - more to come? Following on from last week's announcement clarifying DMC's position in DVS usage, they've now come forward with a tad more info regarding mixer usage - info which does put just a tiny blip of light at the end of the battle tunnel. While video is a massive global market for consumers, it's still not really changing the DJ game just yet. Some DJs have been doing it for years now, while others are toe dipping the fledgling scene to see what it has to offer. Virtual DJ aside, most people I know are using Serato's Video-SL, but another exists and it's called MixEmergency (strangely both are in New Zealand). And it's just turned into v1.6. Traditionally, the DMC battle season would be on the verge of kicking off around the world, but the new fangled DMC online battle has kicked off in fine style with a plethora of diverse entries from all over the world. But there is still some uncertainty over just exactly what will be happening with the existing long running live battle. The inclusion of DVS systems into the DMC battle is old news, but some clarification of just what can and can't be done has arrived. As I sit here mid-redesign with a mounting mental pile of scribbled Post-it notes and Moleskine notebooks, one thing has irked me somewhat. Back in t'olden times aka pre digital, there were but a handful of product categories, but now, attempting to pigeon hole a product is become a tad difficult as the lines blur and the pigeon hole just won't stay still. 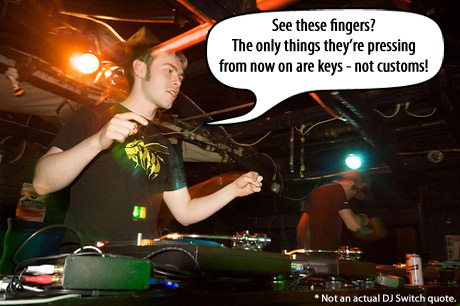 This is especially true of the Numark NDX800. Is it a CD deck - yes. Is it a media player? Of course. And it seems it's also a controller too. So here's my review of what I affectionately call the biscuit tin - the Numark NDX800 multipurpose box of DJ tricks. Native Instruments do seem to have the lockdown on getting scratch giants to bust a few moves in the name of Traktor promotion. With Klever, Craze, Shiftee and Rafik all happy to put their names behind products like Maschine, the X1 and especially Traktor Scratch Pro, there is only one direction to go, and that is up - and they don't get more up than Qbert. Dusting myself off from what has been a somewhat testing few months, I'm now very firmly back in the driving seat and ploughing through work that has stacked up to an unacceptable level. One such item has been the Novation Dicer review. It's been written for ages, and the photography has been on Flickr since August. But the video, featuring skratchworx fave Woody has taken the longest to pull together (not his fault I'll add). But now it's all here - review, photos and video, and it's in glorious 1080p too.